Export attributes tool allows you export attribute data into the CSV file format. 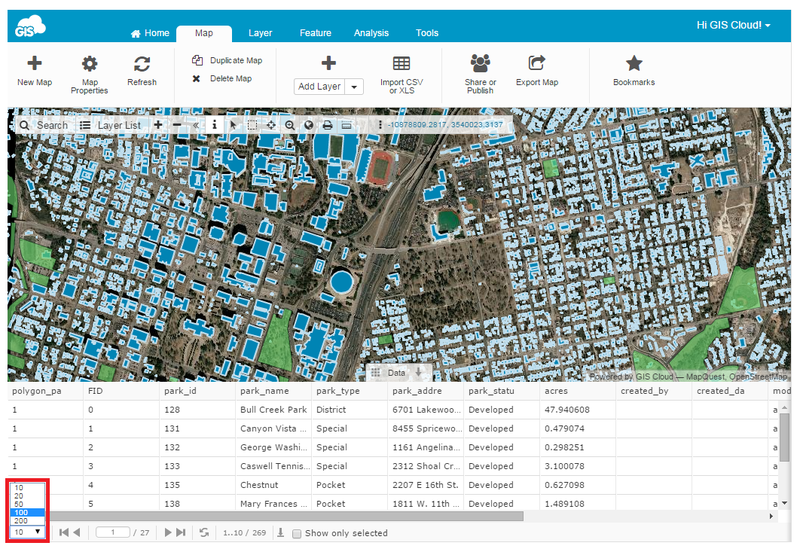 At a bottom of the Data grid, you can find the export attribute tool. You can also select how many features do you want to view in the Data Grid. 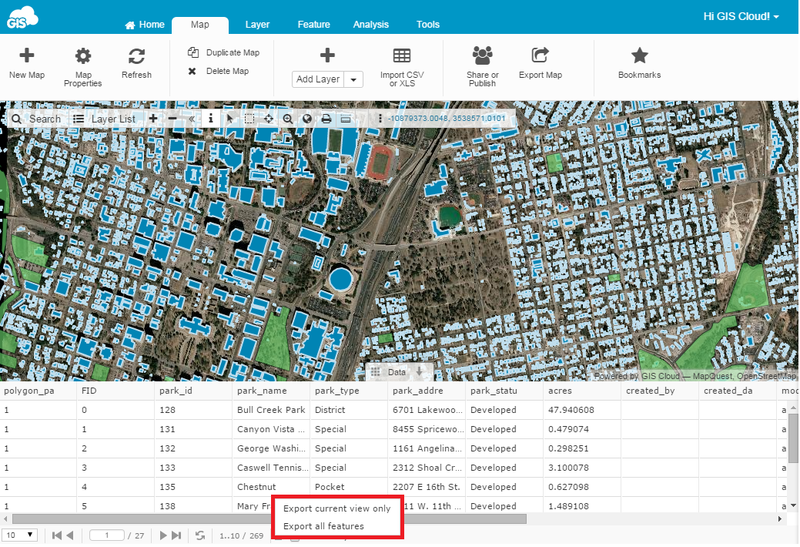 If you set the value to 100 features, then with the export current view only option you will download only the first 100 features within the Data Grid. If you choose to export all features option then you will download all features you have in the attribute table. 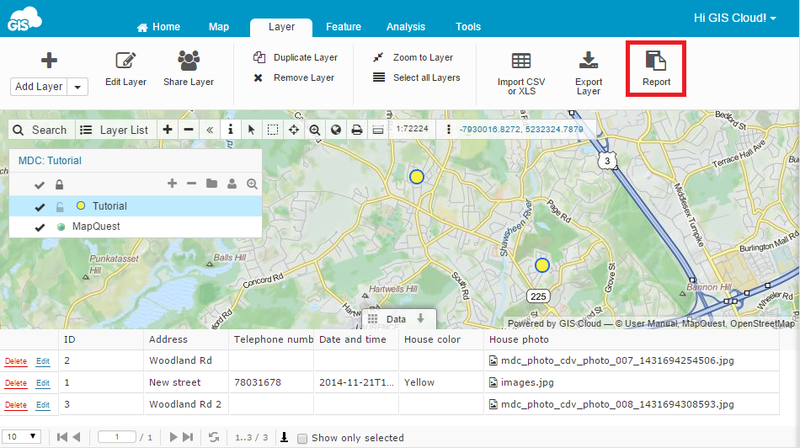 It is possible to create a report from Map Editor data and save all attributes including photos on your PC. Click here for a quick video tutorial. Select a layer you want to export. 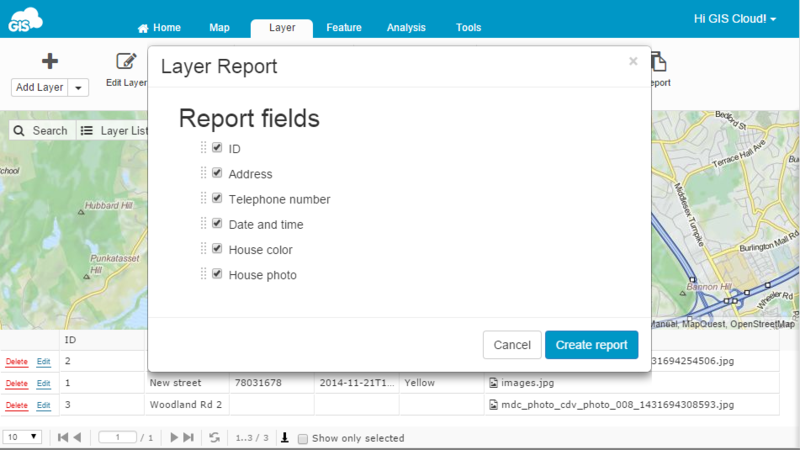 Select Report option from the Layer tab. Select fields that will be exported. 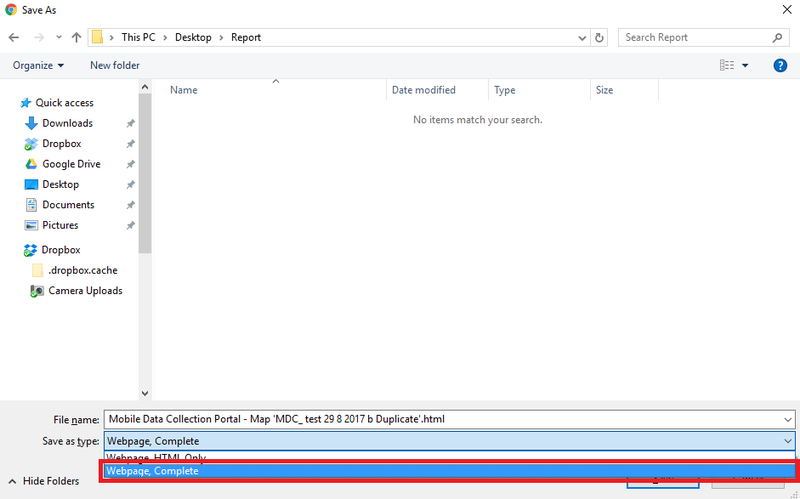 GIS Cloud records Time form field as a timestamp (e.g. 1482843934). The timestamp is the number of seconds that have elapsed since January 1, 1970 00:00:00 UTC/GMT, not counting leap seconds. It is a sequence of characters or encoded information identifying when a certain event occurred, usually giving date and time of day, accurate to a small fraction of a second. For example, computer files and layers contain timestamps that tell when they were created or last modified. Cameras also add timestamps to pictures you take. This data is usually presented in a consistent format, allowing for easy comparison of two different records and tracking progress over time. Timestamp exported from GIS Cloud can be converted to human readable format using the converter, which can be found here. In the first column enter a timestamp you want to convert. In the second column enter the GMT offset. The third column shows the result, a human readable date and time format. Note: GMT offset – Greenwich Mean Time offset is a time difference between your time zone and the conventionally mean time zone, named after Greenwich, an early-established district of today’s London, England. There are 24 time zones, ranging from GMT-12 to GMT+12. 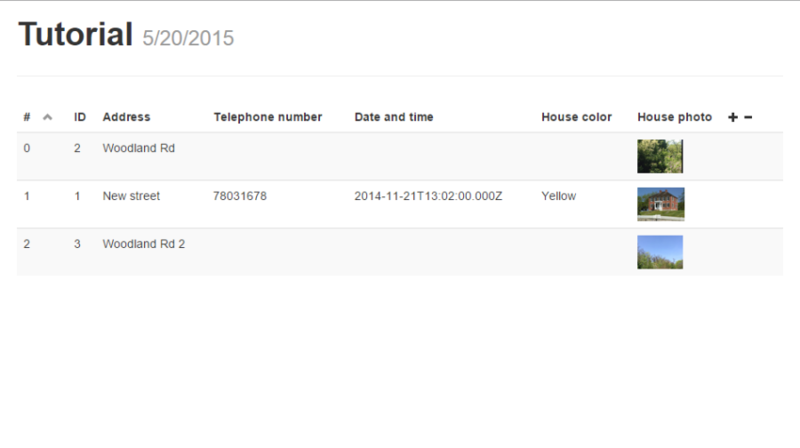 Below is an example of the Data grid view, where you can come across timestamp formatted date and time.